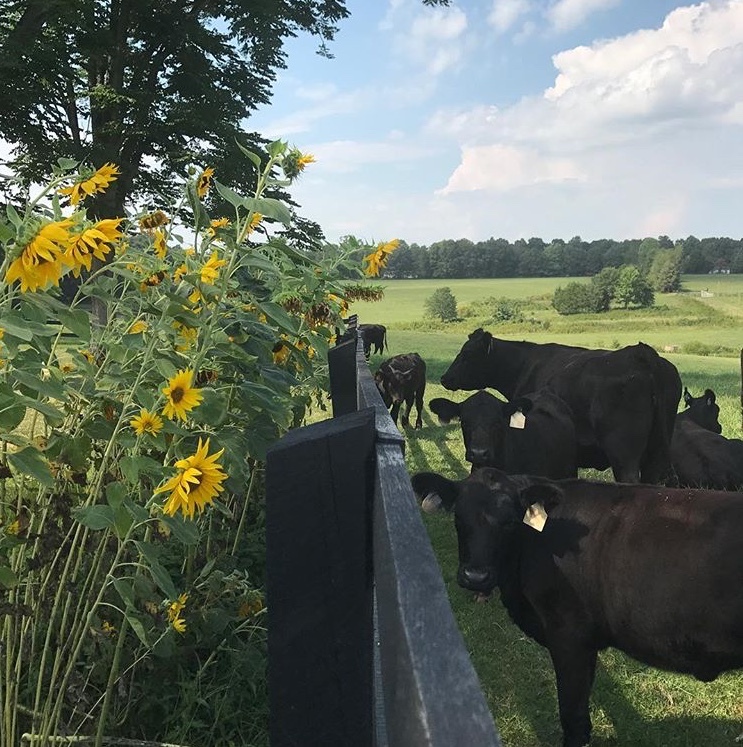 White Gate Farms sits on 75 rolling acres of lush pastures in the heart of Orange County, Virginia, providing the perfect setting to raise delicious 100% grass-fed and finished Black Angus beef cows. Our Black Angus steers and heifers graze on nutrient-rich clover, timothy, fescue and orchard grasses grown without chemical fertilizers or herbicides. We never give our cows growth hormones, routine antibiotics, or by-product feed supplements. Our cows are rotated weekly through our seven diverse pastures which provides them with all the nutrients they need. Each of our pastures has fresh well water reservoirs and feeders providing the total spectrum of healthy minerals. We sell our grass-fed and finished beef to discerning customers who appreciate its good taste and healthy benefits. Learn more about our family farm and join our mailing list. 2019 whole and half steers.